Hello lovelies! I hope you all had a great weekend. Todays post is setting you up for next weekend, so we can already be excited for Friday night to arrive. It is going to be a makeup look which is a bit more the the casual ‘I’m going to throw this on and leave’ look, which I sport most days. I wore this when me and Alex went out on a little date night but I also wear it for going out for drinks or partying (if I ever do). Hope you enjoy this get ready with me I am hoping to do a few more in the coming months. So here I put on all my foundation and skin base products, we all have our own preferences so I doubt you wanna sit here and read a boring sentence of how I blended my contour. 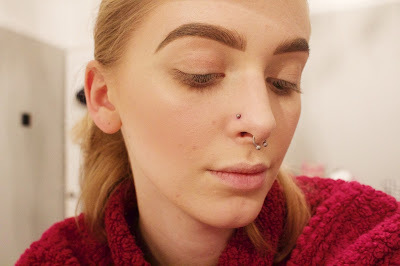 The same goes for brows, I’ve narrowed down the best products for my brows so if you guys are wanting to try something new out the Illamasqua Eye Brow Cake is my holy grail brow product. 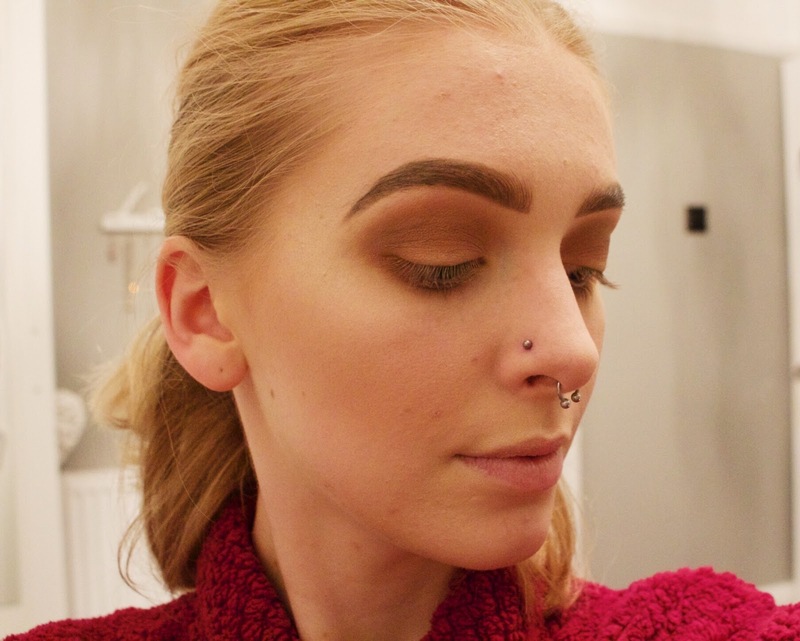 I then started to get to work on my eyes, something we can all now try and do together… I blended Texture and Swiss Chocolate into my crease, also I used my contour powder as a transition colour. This is something I have only recently started doing and now I have realised that it makes a hell of a difference. 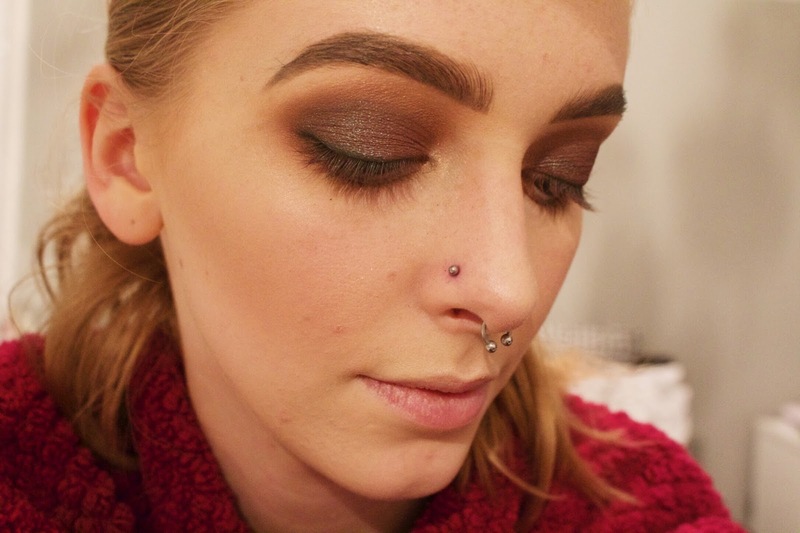 I then packed on the dreamiest grunge eye shadow Blue Brown Pigment. Using a flat blush and ALOT of Fix Plus I applied this powder and made it more a wet metallic looking shadow. 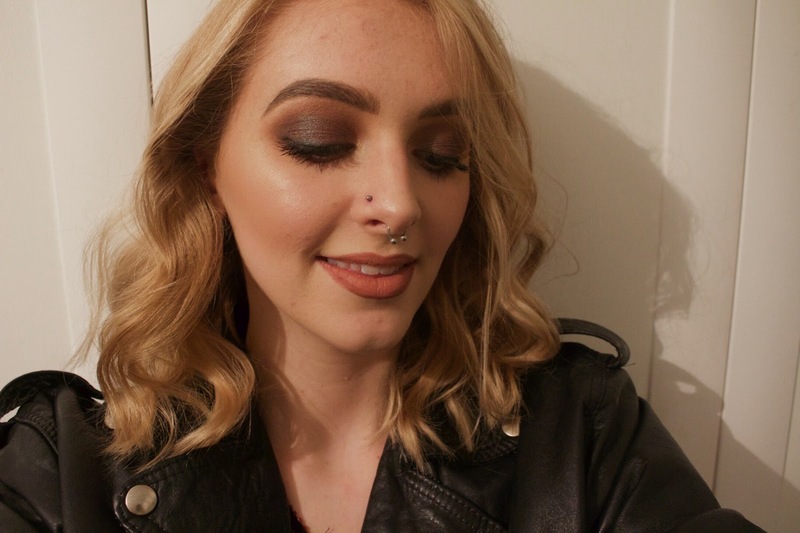 I then smoked out my lash line with a black eyeshadow from my Urban Decay Naked Basics , I was late and had no time for a winged liner lol. Then of course to finish I used a ton of mascara on my top and bottom lashes to give this makeup more of a drama dark look. VUALA! the look is complete, it’s now time for you to choose your perfect lipstick. With the eyes being dark I usually go for something like Honeylove or Spice lipliner all over. But ‘you do you boo’ and go crazy with whatever your feeling. Thank you for reading guys see you Friday!